The Twinbrook Metro Station area as shown in the Development Finder of Montgomery County’s Planning Department. If you’re wondering what development projects are happening in Montgomery County, the Planning Department has an easy at-a-glance map that quickly highlights projects for an area that interests you. Simply go to http://mcatlas.org/devfinder/ and move the map around and click on a location. Instantly, it draws a circle from 1-10 miles in diameter, highlights the property, and provides a list of all the projects. 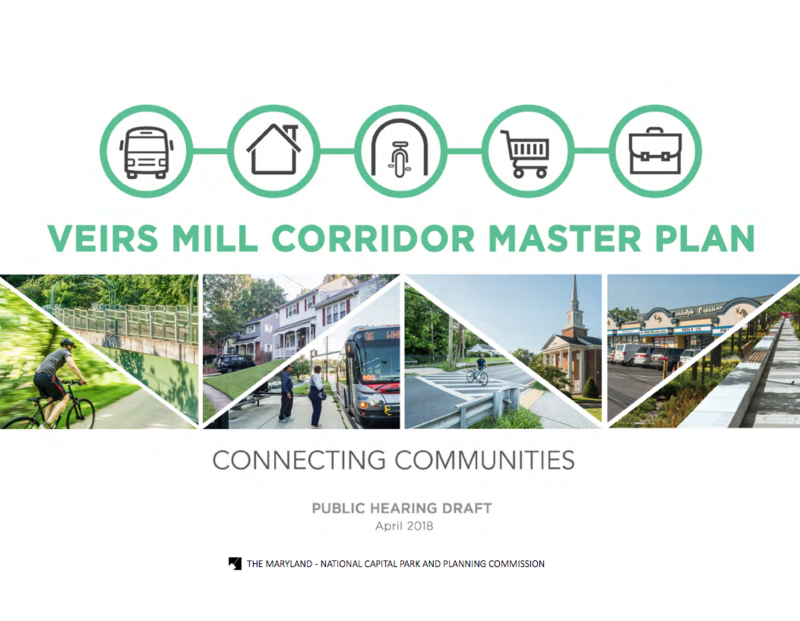 For example, within a mile of the Twinbrook Metro Station, there are 18 development projects in the hopper with the Planning Department. Remember, if you’re on a county border (as Twinbrook is), what’s happening in the City of Rockville won’t appear. You’ll need to also check the Rockville’s website for information. Development isn’t just happening south of Rockville in White Flint. There’s lots going on northwest of Rockville along West Montgomery/Key West Avenue. Pending and recent development project approvals near West Montgomery Avenue in Montgomery County. Every January, the Education Week Research Center grades the nation and states on educational performance, based on a range of key indicators. For 2016, Maryland finishes fifth among the 50 states and the District of Columbia, with an overall score of 82.8 out of 100 points and a grade of B. The nation as a whole posts a grade of C. Across the spending indicators, Maryland finishes with a letter grade of B (ranking tenth in the nation) compared with a national average of D. Yikes! More at Quality Counts 2017: State Report Cards Map at Education Week. Maria’s Bakery Cafe, a small “hole in the wall” diner exclusively serving home-style Chinese food in the Congressional Village shopping center at Rockville Pike and Halpine, will close on September 4 with the owners’ retirement. They’ll be returning to Hong Kong to join family and friends, but they certainly made lots of friends in the region through their pastries, bao, soups, and entrees served from a busy open kitchen at reasonable prices. On Friday, the lunch line stretched to the door and I enjoyed my last cha sui bao and bought a jar of their special hot pepper oil as a souvenir (and a customer in front of me bought 3 jars!). I suspect more of their customers will be stopping by for their last meal over the Labor Day weekend. When Did Whipping End in Rockville? From the Chicago Defender, March 25, 1922. Each day, another archive is digitized and made available online and today I fell into a couple surprising stories while researching the history of our fair town of Rockville. The first story was the 1850 trial of W. L. Chaplin, who was indicted for helping two enslaved men to escape and for assaulting the men who attempted to stop him. Because the court believed he could not receive a fair and impartial trial in Rockville, the case was moved to Ellicott City. I’ll have to follow the case out there to find out what happened. The second surprise was that whipping was an acceptable form of punishment until the 1920s. With the headline “Whipping Makes Men ‘Feel Fine'”, the Chicago Defender related the lashing of two men for abusing their wives in Rockville in 1922. There aren’t many details in the paper except that it might have been done publicly (“they were bound to the post and then the lash was applied”) and that it was usually “applied” to African Americans as a punishment (“Kemp was the first white man to receive such punishment in Montgomery county for many years.”). This story is uncomfortable and infuriating in so many ways. Bill Turque, Washington Post reporter. Politicians in MoCo had it easy from the Post until Turque showed up. His two predecessors on the MoCo beat were Mike Laris, who wrote one or two articles a month, and Victor Zapana, who was fresh out of college. Neither knew a lot about the county. Turque, in contrast, was a long-time resident who quickly learned the history and the players. Before long, inconvenient stories began appearing in the paper. Politicians began longing for the days of scanty coverage! Incredibly, Rockville and Montgomery County find it hard to attract journalists to adequately cover what’s happening locally, despite its significant influence on Maryland and Washington DC. The only newspaper, The Sentinel, is distributed weekly and covers Rockville weakly, focusing mostly on high school sports and legal notices. Bethesda is working hard to cover the news through its bimonthly magazine and blog, but it’s mostly focused on the southern end of the county. Rockville Nights, Rockville View, and my own Max for Rockville blog are produced by volunteers. Rockville Reports and Montgomery County’s Paperless Airplane are government-sponsored sources and aren’t about to announce bad news. Ever since the Gazette folded, news became incredibly sparse in Rockville and a serious threat to keeping citizens and voters informed. The Washington Post hasn’t announced a successor to Bill Turque, but as subscriptions soar and its newsroom expands, I hope they’ll pay more attention to Rockville.